Track Nationals are coming to LA! Man… you know you’ve got a killer case of the Mondays when all you can think about is Friday. Definitely not complaining about the ol’ jobby-job since we’re fortunate to be doing what we love but you see, this week is special. Starting Wednesday and going through the weekend USA Cycling’s 2011 Elite Track Nationals will be going down at the Home Depot Center. 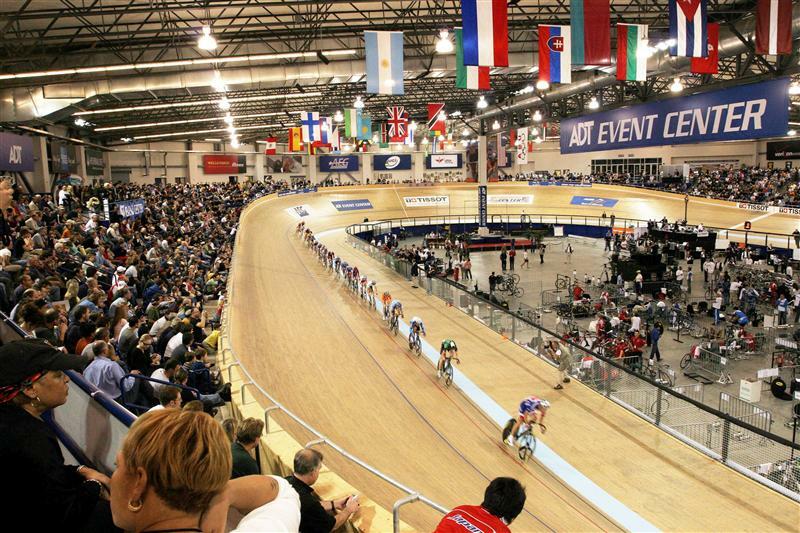 America’s best track racers will be competing for national title crowns and slots at the 2012 London Olympics. If you’re local, you definitely need to find time to go- especially if you’ve never seen high level track racing. The Siberian Pine Velodrome is nothing short of world class and the steepness of the turns and the speed of the racers can give spectators vertigo. Friday and Saturday nights are definitely not to missed. Tickets are a reasonable $10 plus Ticketbastard fees (USA Cycling members can get a 50% discount though.) And you gotta give credit to USA Cycling for scheduling the marquee events in prime time complete with a beer garden and DJs! Maybe we can all rally and cram the party filled fun of a six-day race into a four hour window? Hopefully all that “late night training” we did at Interbike will pay off. This entry was posted on September 26, 2011 at 5:44 pm and is filed under Uncategorized. You can follow any responses to this entry through the RSS 2.0 feed. You can leave a response, or trackback from your own site.